Ancillary products present an attractive opportunity for airlines to enhance their revenue streams. There are several categories of ancillary products, and to date, most airlines have only been able to generate revenues from one or two of them. These are extras that are sold to passengers at the time of an online ticket purchase and traditional on-board sales. Other ancillary revenue streams which have yet to be exploited by most airlines are on-board advertising and sponsorship, and new generation ancillary products sold through in-flight entertainment (IFE) systems on board the aircraft. This second category includes the new concept of destination-related products, with the potential to generate revenues for airlines via sales commissions. An equally important issue is the software and applications that will be hosted on the IFE system hardware. The first generation of ancillary products comprises the basic on-board sales of snacks, drinks, and duty-free items. These clearly require little dedicated technology, although credit card sales run the risk of fraud on aircraft not equipped with an external connectivity system. The second generation of ancillary revenues evolved about 10 years ago when airlines started offering additional products associated with on-line reservation and ticket purchases made by passengers. These can be divided into two categories: airline products and non-airline products. Airline products include baggage check-in; priority or advanced boarding; reserving seats with additional leg room; and buying food and drinks on flights without in-flight catering as standard. Airline products generate direct revenues for airlines. The second category comprises non-airline products, including travel insurance, hotel reservations, and car hire. This category generates sales commissions for airlines, but requires the airline’s reservation system to have dynamic packaging. These pre-flight and reservation related products are estimated to now account for $85 billion in revenues for all airlines. This contrasts with the annual airline industry profits of $35 billion. There are also several categories of ancillary in-flight products. The first of these was when airlines started offering external connectivity to passengers, which made it possible to send text messages and emails, and to browse the web. This is a service that has been paid for by passengers flying on US domestic flights. Some airlines use other connectivity systems and charge passengers directly. Typical daily rates in the US for domestic flights are $8-20 per. Similar rates are charged by European carriers. External connectivity was also extended to some intercontinental flights by airlines that had used high bandwidth satellite communication (satcom) systems, such as Ku- and Ka-band. These high bandwidth satcom systems also made it possible to provide broadcast and internet protocol (I.P.) TV on aircraft. 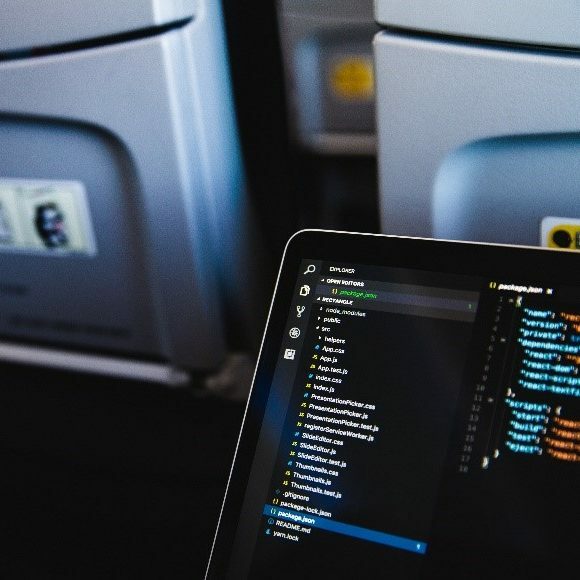 In addition, an increasing number of airlines have opted to provide in-flight external connectivity on a complimentary basis, in response to passengers’ growing demands for it. Despite the higher bandwidth of later generation systems, the cost of providing external connectivity is still high, however, so airlines need to formulate business models that somehow cover this cost. Low-cost carriers (LCCs) and inclusive-tour airlines charge for the service, just like many of the North American airlines. Passengers can use the service for text messaging, emails and surfing the web; while airlines can use the external connectivity systems to offer additional IFE services and a wider range of in-flight ancillary revenue products. 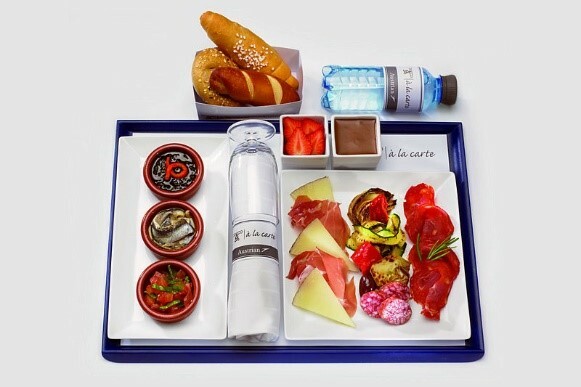 Following on from in-flight connectivity, a new generation of in-flight ancillary products is emerging. The first of these is live TV, for which passengers can be charged or not, depending on the airline’s business model. 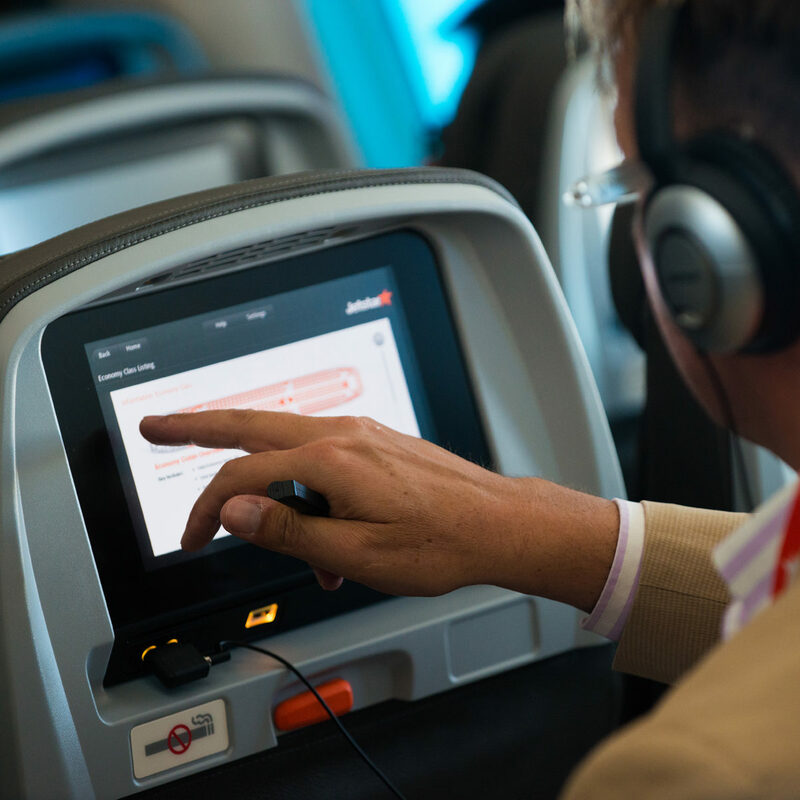 Another element of new generation in-flight products is passengers paying to access IFE content, in particular films and audio content hosted on the IFE server. An in-flight ancillary product that has gained interest in recent years has been the use of in-flight advertising and sponsorship. This is a revenue stream that airlines can exploit without aircraft having external connectivity or any capability for in-flight and destination-related shopping. That is, advertising and sponsorship can already be used on the simplest and cheapest portable wireless systems. Advertisers can subsidize the cost of operating a wireless IFE system that is used to provide free content or which markets a limited amount of paid-for content. 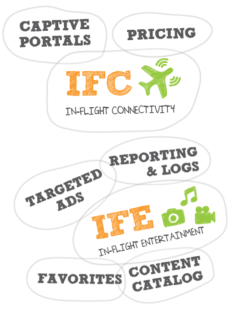 At the other extreme, advertising and sponsorship revenue can be used to subsidize the cost of providing external connectivity for an IFE system that uses broadband external connectivity, allows passengers to stream content from ground sources, and provides a wide range of in-flight shopping that includes destination-related products. 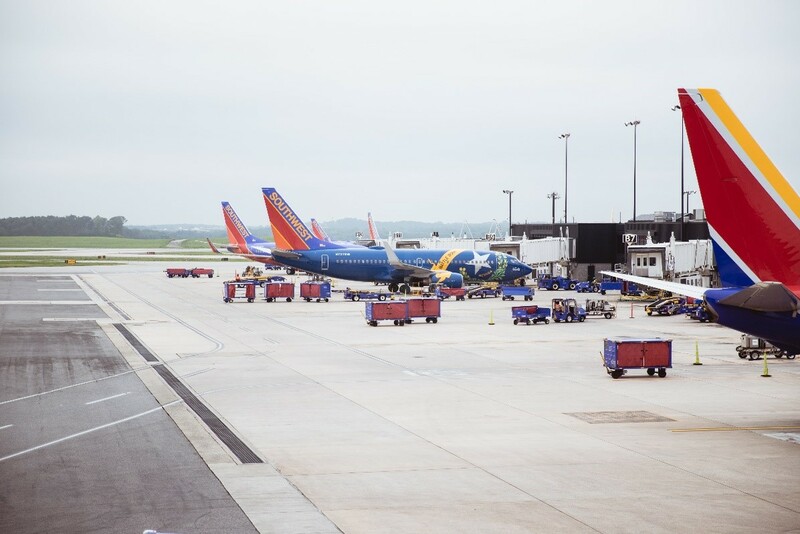 This targeted marketing can be done via an aircraft connectivity platform, but the system would have to be linked to the airline’s frequent-flyer and passenger loyalty programs. A new generation of in-flight ancillary products is destination-related products and services. These will be the sale, through the IFE portal, of items, such as hotel and car hire reservations, restaurant bookings, and excursions and trips. All of these require access to the booking engine on the ground, so the aircraft needs to have external connectivity. Few airlines currently offer new generation ancillary revenue products and so do not generate the potential additional revenues. The industry is in its infancy, but there are signs this is changing, and the sale of in-flight and new-generation ancillary products is expected to grow over the next few years. “Passengers today are paying mainly for connectivity and IFE content, but the biggest potential in the future is targeted and personalized advertising and shopping solutions. 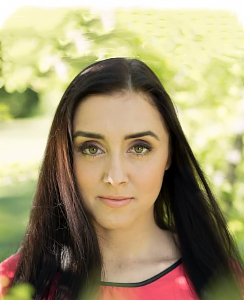 Having spare time while on board and being connected opens up so many opportunities for new revenue streams the airline can participate in,” says Stephanie Schuster, senior director business development at Axinom. There are several steps airlines will have to take before they can start opening these new revenue streams. This involves airlines making hardware and technological changes to their on-board systems. For example, high bandwidth external connectivity is only provided on a minority of commercial aircraft, although the portion is steadily increasing. 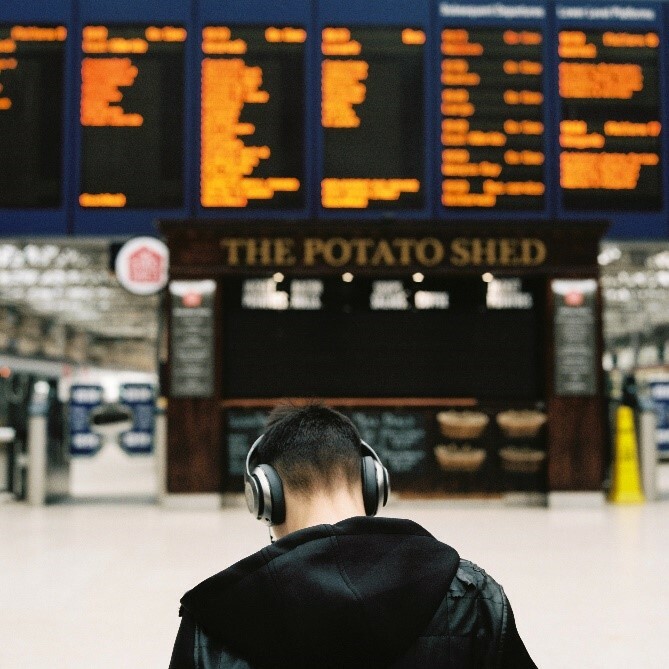 External connectivity is clearly essential to integrate real-time payment solutions and CRM systems, provide live TV, allow access to live streaming content from providers, such as Netflix, and allow the purchase of destination-related items. Airlines have generally considered high-bandwidth external connectivity to be too expensive and need to implement a business model that subsidizes or fully covers the cost of providing the service. 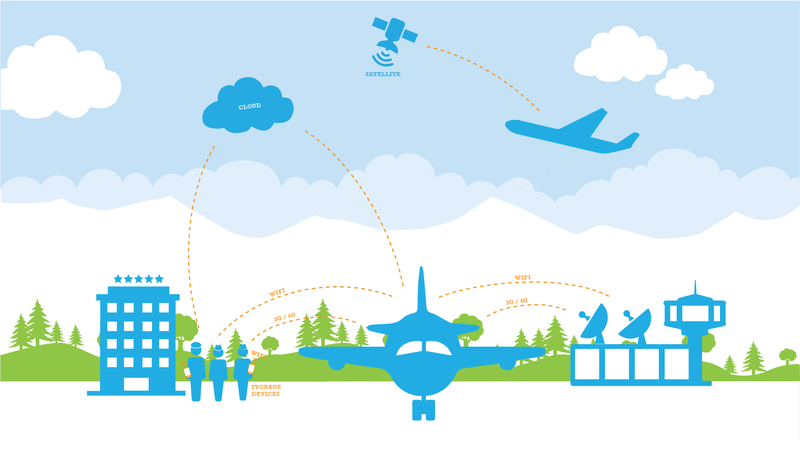 New-generation high-bandwidth connectivity systems will, however, help airlines reduce the cost of external connectivity. A major issue with providing ancillary products is the requirement of data and intelligence. Most IFE systems have been configured to be stand-alone devices for the sole reason to provide entertainment. They barely even cover the fixed cost of installation and operations owing to the cost of providing premium content. To capitalize on the new generation ancillary revenue opportunities, the IFE systems need to be integrated or interfaced with airlines’ CRM systems. First, a complete range of all categories of ancillary products from pre-flight to post-flight needs to provide the passenger with a seamless experience. “Several factors are preventing airlines from moving faster ahead with generating more from these ancillary revenue streams. One issue is payment and personalization, and most airlines’ IFE systems do not have seamless integration. If they did, passengers would not have to re-enter their credit card and personal details each time they make a purchase,” says Schuster. There is also the integration of an airline’s system, such as frequent-flyer and customer relationship management (CRM) with the on-board system, as well as issues relating to aircraft hardware and external connectivity equipment. An integrated and holistic system means that the IFE system will recognize the passenger when they are in their seat, and link this to their personal data from the CRM system or the ticket purchase. The new-generation ancillary products will also have to be offered at appropriate touchpoints. Examples of these can include ordering drinks and stating meal or movie content preferences during on-line check- in, travel to the airport, airport check-in, and the pre-departure period. Such promotion of these sorts of ancillary products can be conveyed through the airline’s app on the passenger’s PED. Other appropriate products during these touchpoints may include destination-related products, or post-flight products, such as grocery items or taxi reservations to take the passenger home after a returning from a trip. Marketing via the app on a PED would be convenient at these pre-flight touchpoints, and would make use of Wi-Fi connectivity available on the ground and mainly within the airport terminal. At touchpoints in later stages, such as during the flight, it would then be appropriate to offer destination-related products, in-flight shopping, access to streamed IFE content from on-ground sources, and in-flight items such as drinks. The large number of touchpoints at the off- and on-aircraft phases of the entire journey and passenger experience, and the appropriate products to offer, must be carefully identified and analyzed, so that the passenger does not get annoyed by the over-promotion of an excessive number of products at too many touchpoints. Not only does frequent-flyer data allow airlines to better target appropriate ancillary products to particular passengers, but so does analysis of passengers’ buying behavior. This is like using data from global distribution systems (GDSs), and revenue management and revenue accounting systems to re-optimize available fares on each route at regular intervals. Therefore, as well as creating a holistic reservations, IFE and an ancillary revenue-generating system, airlines would benefit from having the post-ancillary product purchasing analysis process in place at the start. This will allow them to refine touchpoints, and the appropriate products promoted to regular passengers at each one. Digital Platforms built by Axinom are different because the offer is based on software only. Axinom’s products and services that are used for IFE systems or connectivity portals are individualized and custom built, installed on existing hardware, integrated with on-ground and on-board services and certified by the buyer. The company is also specialized in content protection and studio approvals for customer solutions, but the content itself is not part of the offer. A first module is the video ingest and processing (VIP) hub. This is purely related to movie and video content. It is required for encoding and encrypting the video content provided by film and movie studios that must be protected. The VIP module can integrate forensic watermarking solutions on visual content to make it identifiable in the case of theft and can host multiple language versions of the same content for use on various parts of the airline’s route network. The managed content can be transferred to the content management system (CMS). This module is the central interface managing all kind of digital assets, for example, also from third parties that are not media. These include information related to destination, in-flight catering, the moving map, all adverts that the customer wishes to show via the portal, and the inventory of items that can be bought by the passenger in the shopping function. “One rule is that the IFE system needs the ability to detect when a passenger is using a PED, and specify what content can be viewed on the device,” continues Schuster. “This applies to issues such as early window (EW) and late window (LW) movies, since only LW movie content can be viewed by PEDs. Another set of rules could specify which items are complimentary, and which must be paid for, and how this varies according to cabin class. Information, including IFE and aircraft operational and maintenance data, must be downloaded from, as well as uploaded to, the aircraft. The CDS, therefore, synchronizes all data in both directions. The IFS will also hold the catalog of the entire content available on the system. The advert server has rules, such as what days of the week adverts are displayed, and which adverts are displayed before the start of a film, or while viewing certain classes of content. In a hybrid setup, this can also include targeted online advertising by utilizing connectivity, on-ground customer CRM and cloud-based advert exchange servers. The final module in the Axinom platform is the connection to the front-end applications, which is the interaction point visible to the passenger provided via the IFE portal, to the in-seat screens or PEDs. The front-end SDK controls the connection between the server software and the front-end application. Disclaimer: The article was originally published in the June/July 2018 issue of Aircraft Commerce and has been reproduced with modifications with permission. To know more, get in touch.